Note: I received a copy of this book from the publisher for review. This does not impact the content of my review. A woman sets out on a cross-country road trip, unknowingly tracing in reverse the path her mother traveled thirty years before. In the 1950s, movie star Louise Wilde is caught between an unfulfilling acting career and a shaky marriage when she receives an out-of-the-blue phone call: She has inherited the estate of Florence “Florrie” Daniels, a Hollywood screenwriter she barely recalls meeting. Among Florrie’s possessions are several unproduced screenplays, personal journals, and — inexplicably — old photographs of Louise’s mother, Ethel. On an impulse, Louise leaves a film shoot in Las Vegas and sets off for her father’s house on the East Coast, hoping for answers about the curious inheritance and, perhaps, about her own troubled marriage. Nearly thirty years earlier, Florrie takes off on an adventure of her own, driving her Model T westward from New Jersey in pursuit of broader horizons. She has the promise of a Hollywood job and, in the passenger seat, Ethel, her best friend since childhood. Florrie will do anything for Ethel, who is desperate to reach Nevada in time to reconcile with her husband and reunite with her daughter. Ethel fears the loss of her marriage; Florrie, with long-held secrets confided only in her journal, fears its survival. In parallel tales, the three women — Louise, Florrie, Ethel — discover that not all journeys follow a map. As they rediscover their carefree selves on the road, they learn that sometimes the paths we follow are shaped more by our traveling companions than by our destinations. I’ve been reading a lot of YA recently, and this novel was a refreshing jump into historical, adult/women’s fiction. Woman Enters Left was lovely. I read it in only a few days. As soon as I picked it back up, I didn’t want to put it down. Ethel and Florrie are hilarious. Louise is so, so real. Her relationship with her father is adorable and sweet. Their journeys are both heartwarming, funny, and tearful. Yes, I cried. I also smiled a lot. But, I won’t be ashamed of my tears. The characters became friends. I rooted for them and cried with and for them. Woman Enters Left makes use of one of my favourite storytelling techniques – telling two interconnected stories that take place in different eras by jumping back and forth between them. Louise’s story is told in third person. Her mother, Ethel, and friend Florrie’s stories are told through their journals and letters from their road trip west. I felt like I was getting to know Florrie and Ethel as Louise did from reading their journals. I learned a lot while reading this book too – about the Radium Girls, about what life was like for some folks during the 1920s and 1950s, about the cost of groceries in the 1920s. It was both entertaining and eyeopening. Jessica Brockmole has done a wonderful job of writing characters with diverse voices, dealing with realistic painful situations, and rediscovering themselves and those they love. If you like historical fiction, journeys of self-discovery, and rad ladies, this novel might just be for you. 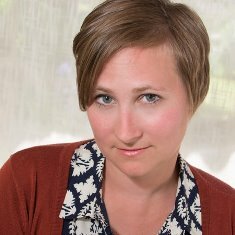 Jessica Brockmole is the author of At the Edge of Summer, the internationally bestselling Letters from Skye, which was named one of the best books of 2013 by Publishers Weekly, and ‘Something Worth Landing For’, a novella featured in Fall of Poppies: Stories of Love and the Great War. She lives in northern Indiana with her husband, two children, and far too many books. For more information, please visit Jessica Brockmole’s website. You can also find her on Facebook, Twitter, Instagram, and Goodreads. 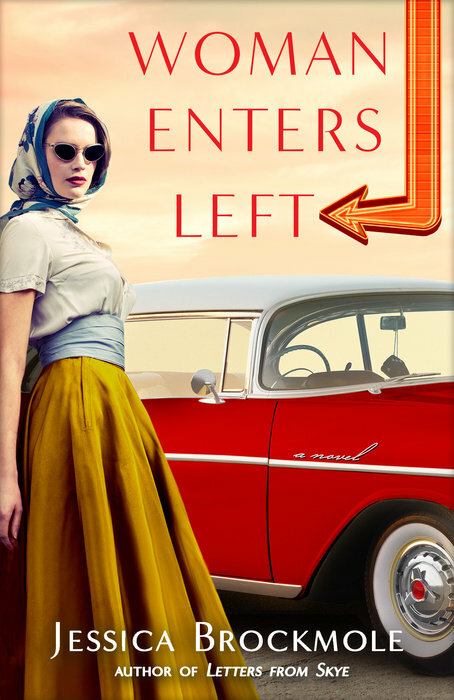 During the Blog Tour we will be giving away 2 signed copies of Woman Enters Left! To enter, please enter via the Gleam form below. What a fabulous review, thank you so much Trisha! I am thrilled that you enjoyed WOMEN ENTERS LEFT and I appreciate you hosting Jessica’s Blog Tour!